"Let Me See You Go Back!" 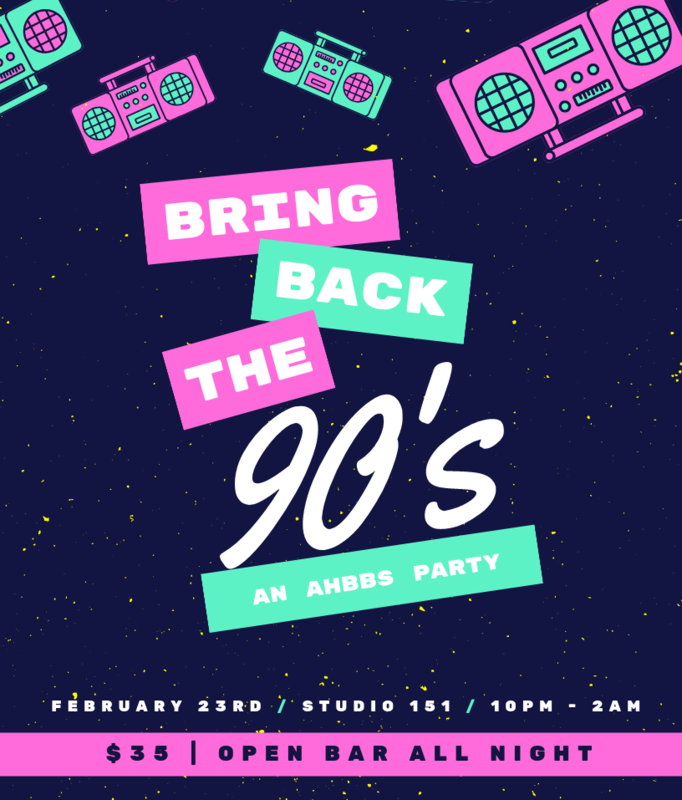 Join us for AHBBS' 3rd annual 90s Party! Come dance to your favorite tunes from the decade in your coolest 90s outfit. We will have open bar all night (Yes, you read that right. Liquor, beer and wine) and there will be prizes for the best outfits! Significant others and friends are welcome to attend.